What was touted as a mere affair which shall pass, Arjun Kapoor and Malaika Arora's love-story is now growing strength to strength with each passing day. Even 'Chachu' Anil Kapoor seems to have given his nod to their relationship. What was touted as a mere affair which shall pass, Arjun Kapoor and Malaika Arora's love-story is now growing strength to strength with each passing day. From their uninhibited public outings to joint investment in a house together, the duo has been taking steady steps in their relationship. The couple's family members and close friends too seem to have accepted their relationship and have welcomed them with open arms. While Malaika's sister – Amrita Arora can be seen partying with Arjun Kapoor, Arjun's cousin sister – Sonam Kapoor – is a close friend of Malaika Arora. Arjun's chachu, Sanjay Kapoor's wife, Maheep, had also thrown a bash a few days ago where Arjun and Malaika partied all night and were even seen getting cosy. And now, even chachu Anil Kapoor seems to have given his nod to their relationship. In an interview with Neha Dhupia on 'No Filter Neha', Anil Kapoor said, "I know him very well. Whatever makes him happy, makes me happy. I don't want to comment on anything as that's personal... whatever he does. We all family members have believed in that whatever makes the other person happy, makes us happy." On being asked what is that one advice he would like to give to the other hottest couple in B-town, Ranbir Kapoor and Alia Bhatt, Kapoor said, "They look great and happy together. They should spend as much time together as possible." Talking about his own daughter, Sonam and Anand Ahuja, Anil said, "God bless them." 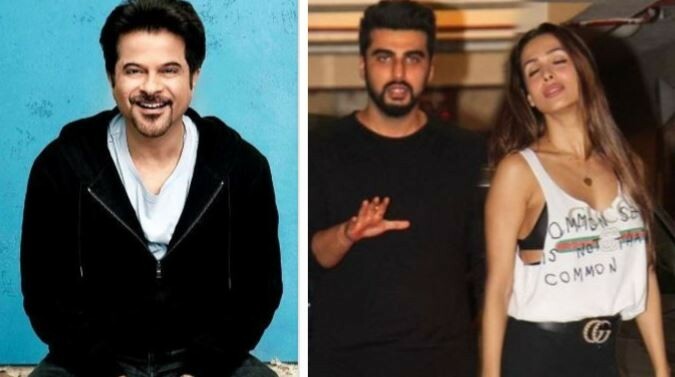 On work front, Anil Kapoor would soon be seen with Ranveer Singh, Kareena Kapoor and Alia Bhatt in Karan Johar's magnum opus – Takht – which is a Mughal period drama. It is said that Anil would be seen playing the role of badshaah – Shahjahan.